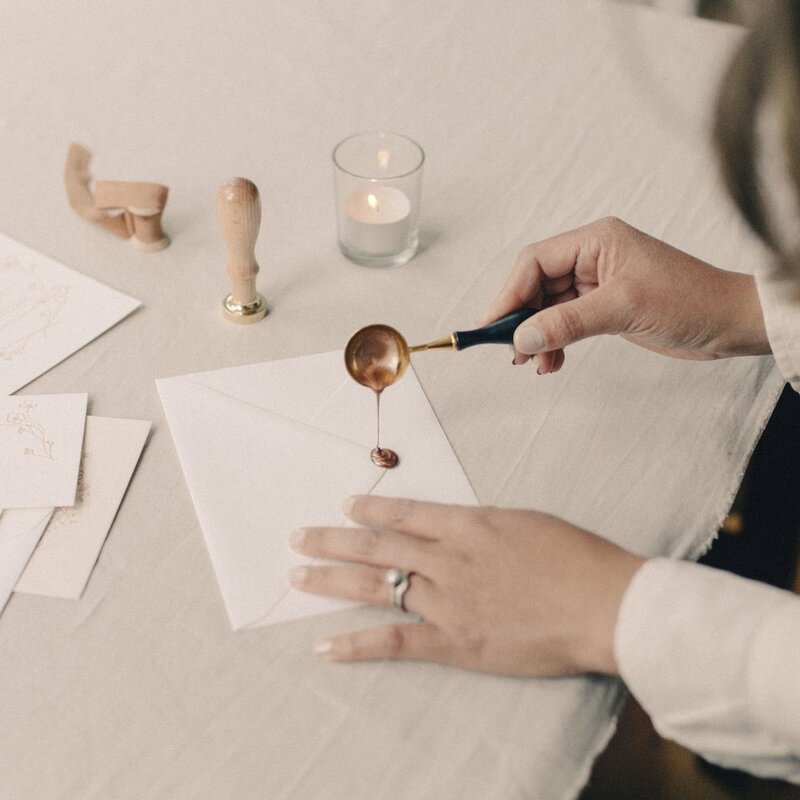 A bespoke invitation suite allows you to create something as unique as you are. I love getting to know you and pulling out all the little details that matter—colours, your dog, your family home—and putting them all together to tell your story through paper. I pride myself on a warm and personalised service and I work hard to make sure the process of creating your invitations goes as calmly as possible. My knowledge of letterpress and working with paper means I can expertly pull together the elements of your stationery to all work together perfectly. I also manage all our deadlines and timescales so that everything runs smoothly. No little detail is forgotten and my aim is that the entire process is an enjoyable journey. My process begins with a questionnaire and consultation. From there, you will receive visual concepts that your stationery will be based on. Once stationery design is approved, we move onto production where your invitations are lovingly letterpress printed by myself in my studio. You can rest assured that I will take care of everything-from assembly, addressing the envelopes to posting your invitations directly to your friends and family.